There are several home remedies for alcohol withdrawal, but the symptoms of this condition can range from mild to severe. Those considering undergoing alcohol withdrawal at home should be aware of what care they will need and consider having a support system in place. It is also a good idea to consult with your medical care provider to ensure that your plan is safe based on your current alcohol consumption. Your medical care provider can help recommend a treatment plan best suited to your goals, and your health. Alcohol withdrawal is what happens when the levels of alcohol in your body drop after you have built up a tolerance for frequent alcohol consumption. Alcohol has a depressive effect on the body, and with regular use, the brain and nervous system learn to adjust to continue to work correctly. If you are a light drinker, it is unlikely that you'll experience alcohol withdrawal symptoms, however for those that drink heavily for weeks at a time or longer, symptoms that can range from mild to much more severe can be possible. When the alcohol level in your body drops quickly, this can leave your brain and nervous system in a heightened state that previously allowed them to operate normally with higher levels of alcohol in your system. There are more severe symptoms that can result from alcohol withdrawal and ending alcohol consumption suddenly after prolonged abuse can even be fatal in a small number of cases. Hallucinations, seizures, and hearing or feeling things that aren’t real are also common symptoms of more serious withdrawal. Some individuals will also experience delusions, which can begin anywhere from 48-72 hours after alcohol has been consumed. Even though this typically only affects about 5% of individuals, it's possible also to experience confusion, fever, and high blood pressure. Alcohol withdrawal can be incredibly uncomfortable and risky, but many individuals can detox at home with only mild to moderate symptoms. Even if you decide to cut back your intake of alcohol instead of quitting all at one time, it is possible that you can still experience the symptoms of withdrawal. For most individuals, detoxing at home is possible as it also provides a supportive environment that is quiet, familiar, and limits contact with outside individuals. Stocking your home with healthy foods, plenty of fluids, and dimming the lights can also make it more comfortable. If you have a serious health-related condition, or if you have had withdrawals in the past that have included severe symptoms, it is likely not ok to detox at home. There are also inpatient care centers and drug treatment centers available, but these may not be necessary and may make you more uncomfortable during the detox process. If you have concerns about alcohol withdrawal symptoms, and detoxing at home, it's a good idea to discuss these concerns with your healthcare provider and establish a suitable plan. They may suggest an inpatient treatment center or another center that can offer the appropriate level of medical care as you detox. Enduring alcohol withdrawal at home may sound like a better alternative to seeking a medical facility, and many individuals use this method successfully, but it is unlikely that medical professionals will enthusiastically recommend it. There is a certain degree of uncertainty with alcohol withdrawal regarding how your body will react, and the process should never be trivialized. It is possible for alcohol withdrawal to become a serious medical event that requires the care of a trained professional, and when you are at home, these kinds of resources are limited. Treatment at a rehabilitation facility is common for those that have used alcohol heavily for an extended period, and frequently this is the safest option for those that struggle with alcoholism and are looking to make a permanent change. There are a number of home remedies for alcohol withdrawal, and many of them are simple measures that don't require unique supplies. It is a good idea to have a friend or family member available to support you during the process of withdrawal, and always call for help if you feel that you need it. Drinking fluids during alcohol withdrawal may seem rather obvious, but it's also vital that those fluids contain electrolytes. Drinking fluids with electrolytes can help combat dehydration as well as nausea during withdrawal, and chances are you already have some in your home. Plain water with salt, lemon, and stevia can be a great alternative to sugary sports drinks and will also supply the necessary electrolytes to help you stay hydrated. You can substitute other fruits such as strawberries, blueberries, or oranges, but be aware that fresh fruits will add their own natural sugar to the drink. 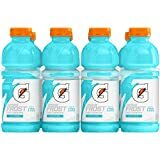 Sports drinks are another way to get fluids and electrolytes but be wary of ones with too much sugar as these can make you feel worse at times. 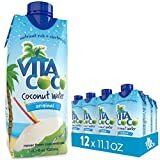 Coconut water is also a good option that is packed with nutrients such as potassium, sodium, calcium, phosphorus, and magnesium. If you can have a friend or family member come to stay with you during the time that you are in withdrawal, it may be helpful. Having someone to call when you need them, or better yet to stay with you, can offer you a sense of comfort that is helpful to recovery. Having someone stay with you can also help to calm your anxiety, and this person can assist with monitoring your symptoms and get you medical attention if necessary. They can also help make sure that you drink plenty of fluids and take care of yourself during this critical time. Once in the throes of withdrawal, it may be hard to remember why you decided to stop drinking alcohol, and it can be helpful to write yourself a letter. In this letter, you can explain your motivations for your actions, hopes for the future, and goals that you have set for yourself. Alcohol withdrawal can be a stressful time for many individuals that experience it, and both writing and reading the letter can have therapeutic value during a time where you may feel anxious, sad, or generally miserable. When you drink alcohol, your body can use up more B vitamins than it usually would and replenishing these vitamins has been shown to help in the detoxing process. B vitamins can help reduce fatigue, increase how effectively your brain is able to function, and even help support your adrenal function. 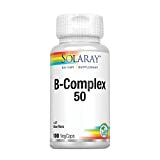 B-vitamins have also been known to help reduce alcohol cravings and insomnia; however, you may want to confirm the dose with your doctor before making this part of your detox process. Other supplements include passion flower tea which helps with anxiety and insomnia. Using B vitamins with vitamin C, magnesium, selenium, zinc, and L-glutamine may also help with cravings. Melatonin is another over-the-counter supplement that can help you sleep, and valerian has been known to help with insomnia as well. The first stages of withdrawal can be the scariest, and using essential oils is one of the home remedies for alcohol withdrawal that can help specifically with this stage. 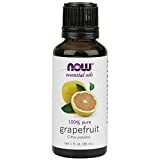 Grapefruit oil, fennel oil, and shea butter can be mixed and applied to the skin as a soothing form of aromatherapy with possible benefits to the kidneys, liver, and digestive tract. Aromatherapy can also mean using essential oil scents that you personally find soothing to help with insomnia, anxiety, and general feelings of unease that can come with alcohol withdrawal. 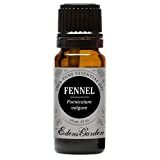 Using scents to ease specific symptoms and aid in relaxation has been a long time supportive measure for many conditions. 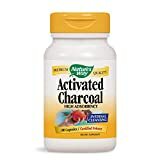 Charcoal is another supplement that can be taken in pill form which promises to bind with chemicals and toxins in order to pull them out of your body more quickly. Charcoal is good at binding with alcohol while in the GI tract and can also be beneficial before and after alcohol is consumed. Some studies show that consuming alcohol with charcoal can help to reduce blood alcohol concentrations, and the doses typically range from 1000-2000 mg of activated charcoal for a full-sized adult. Kudzu root is a traditional herb from China that has been used in Southeast Asia and Japan as a way to soothe the side effects of alcohol consumption. This herb may be one of the older home remedies for alcohol withdrawal, but its antioxidant properties have shown to help reduce liver damage and promote regeneration. The supplement comes in both pill and powder form and can be added to different foods for consumption if you don’t want to swallow pills. Kudzu has also been shown to be full of powerful phytochemicals, or antioxidants, which can help reduce alcohol cravings.